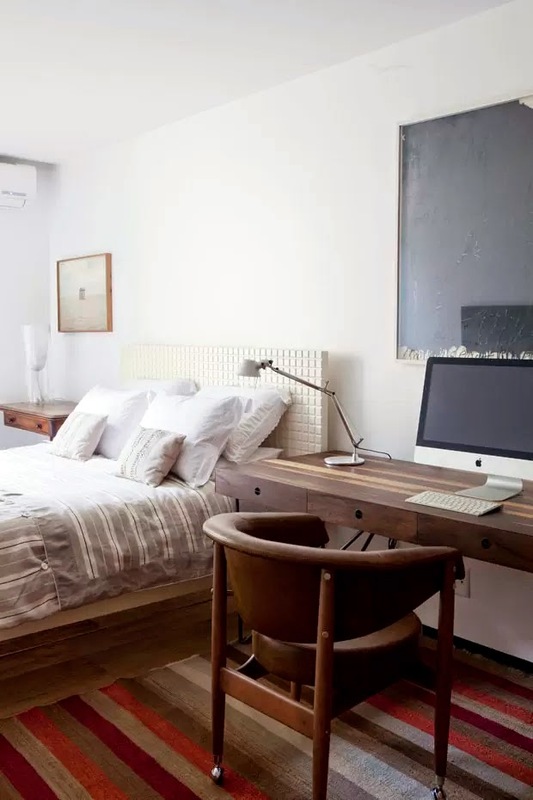 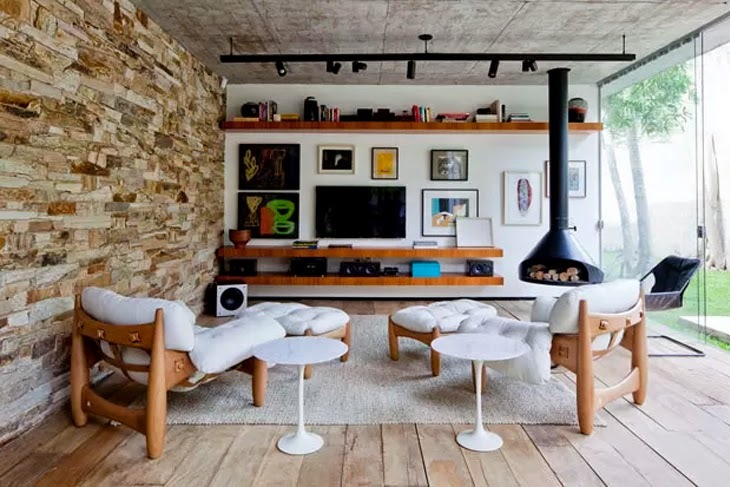 This wonderful family home brings together minimalism, mid century design and nature. 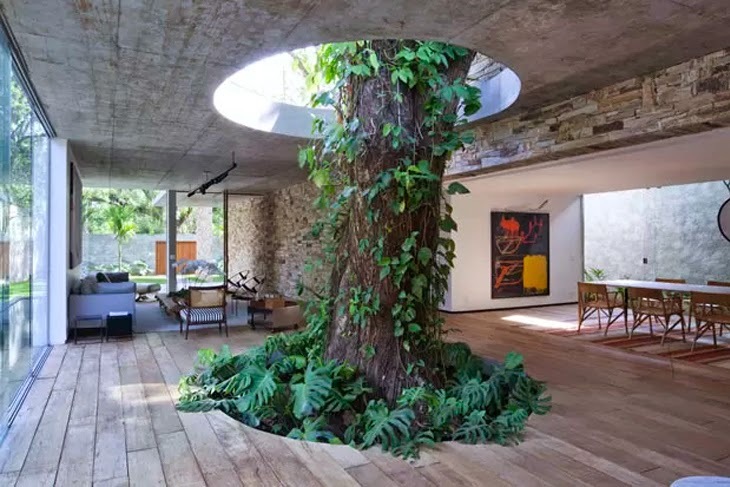 Actually, it have a tree growing inside the house - wow! 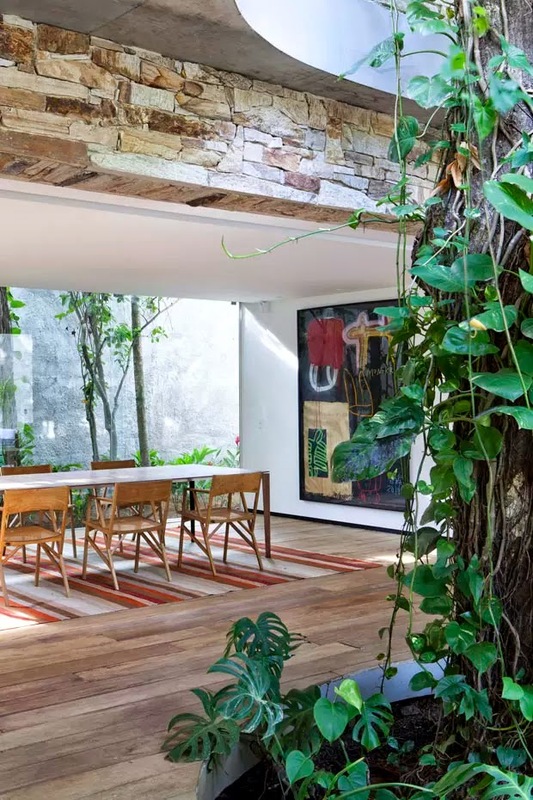 Designed by architect Alessandro Sartore, located at the foot of the Pedra da Gávea Mountains in Itanhangá, a neighborhood in Rio de Janeiro, Brazil. 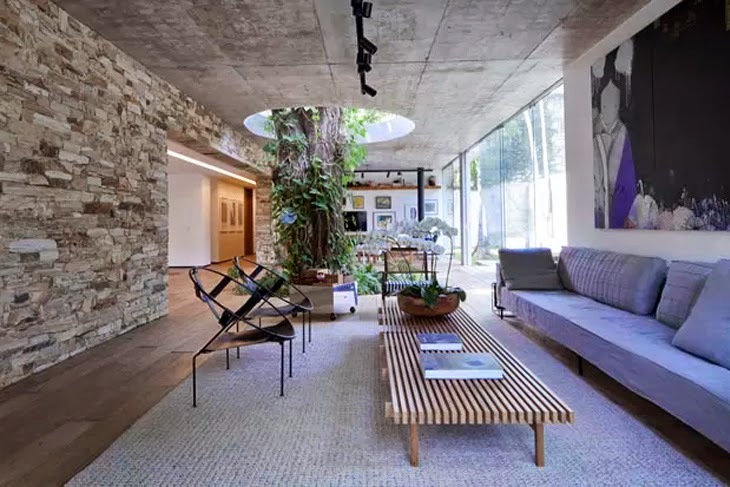 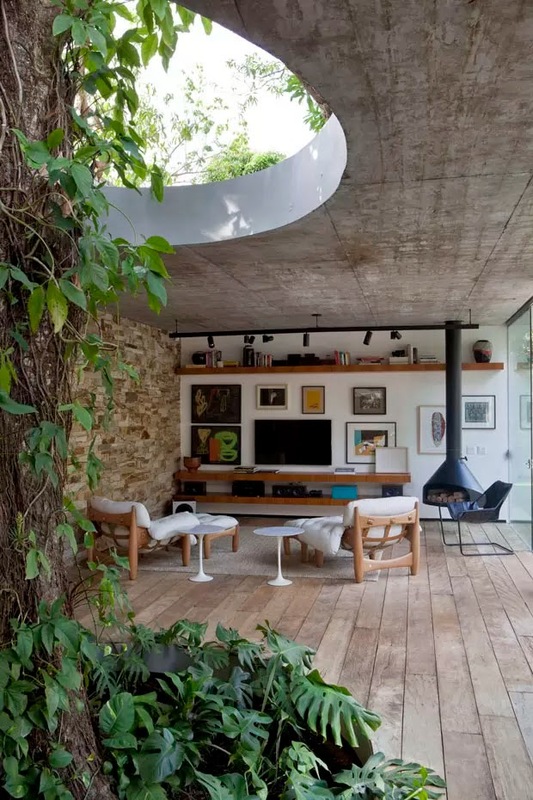 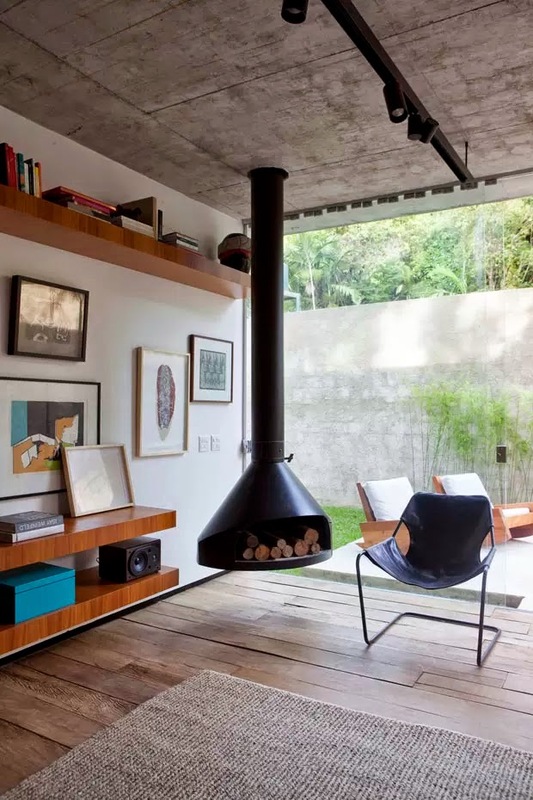 I posted some Brazilian houses in the past and they all share this beautiful connection to nature, although being very modern, minimalistic, using lot of concrete and modern design. 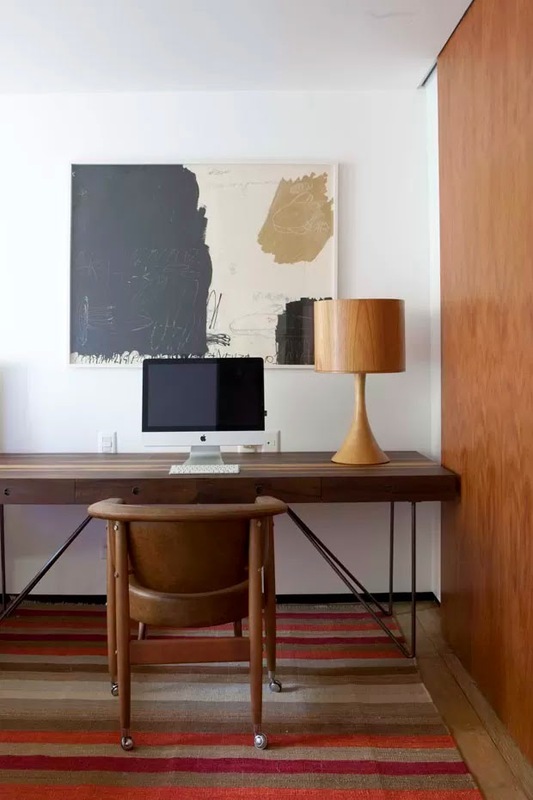 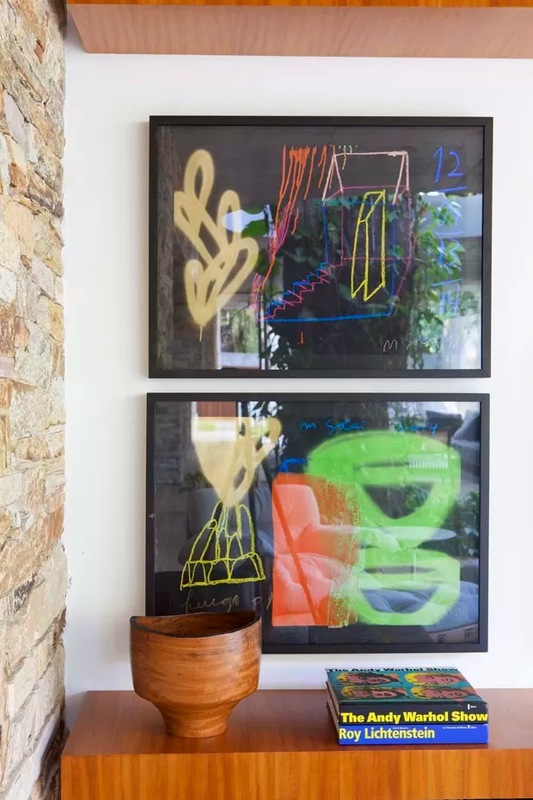 It works very well, especially when the interior is warmed by skilfully selected art and wonderful retro furniture.